Researchers at Symantec have discovered malware that has been written using Google’s Go programming language. Go was introduced by Google in 2009, two years after its initial design, and Symantec’s discovery seems to be the first time a malicious application has been found that was developed using the programming language. Google’s Go has been gaining a decent amount of attention over the last three years, and it seems as if criminals have taken notice. Symantec captured a sample of what they’re calling Encriyoko recently, which has elements coded with Go. 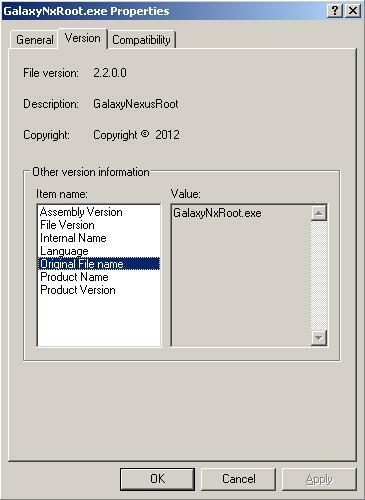 The malware itself is presented as a rooting tool for the Galaxy Nexus, and if users were to install it, the .exe will drop two files on the system. According to the researchers who examined the Trojan, the two files instigate two different attacks on a compromised host once installed. One is an information stealing Trojan, which harvests data and ships it off to a remote server, and the other files will encrypt various file formats, including cpp, jpg, doc, php, java, wma, rar, zip, etc. In all, more than 40 file extensions are targeted by the malware. “Restoration of the encrypted files will be difficult, if not impossible,” Symantec noted. "Go is an attempt to combine the ease of programming of an interpreted, dynamically typed language with the efficiency and safety of a statically typed, compiled language," Google explains. "It also aims to be modern, with support for networked and multicore computing." Go looks like C, but is forgiving in its syntax in some aspects. For the curious, Google has an interactive tour of Go available here.